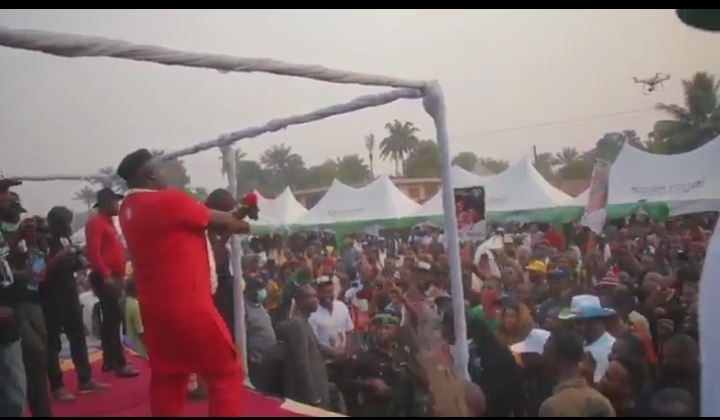 Governor Rochas Okorocha of Imo state shared a video of his Senatorial campaign in Imo State. 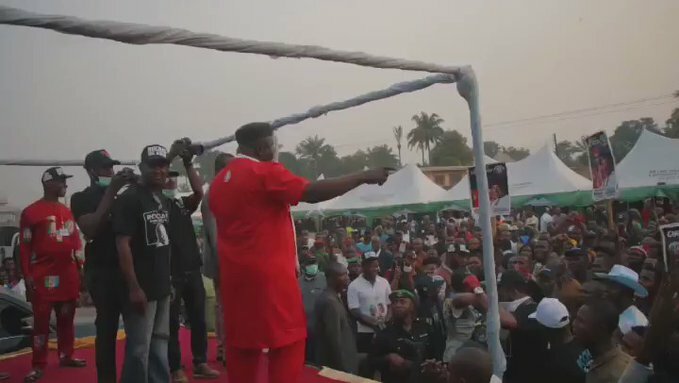 In the video, the governor was seen delighting his supporters and APC party members to his skillful Shaku shaku dance. 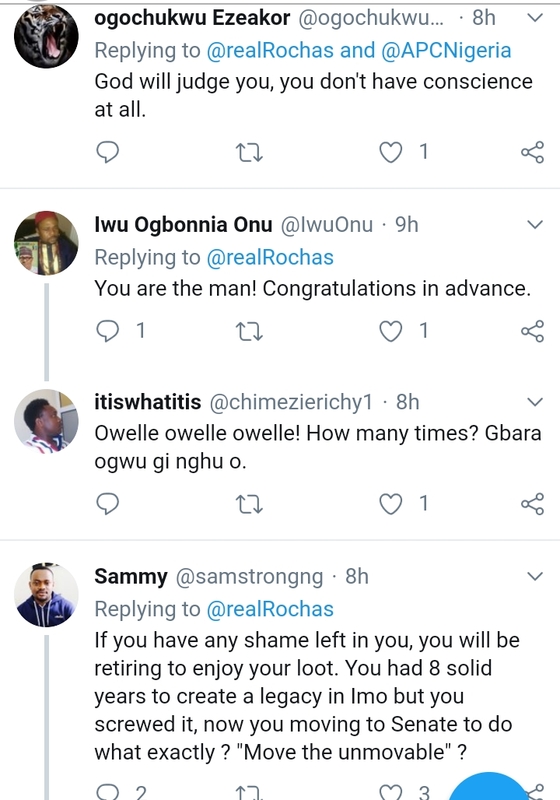 Rochas Okorocha is running for Imo West Senatorial zone seat in under the umbrella of the All Progressive Congress, APC but he is fielding his son-in law, Uche Nwosu as governor under the Action Alliance, AA. 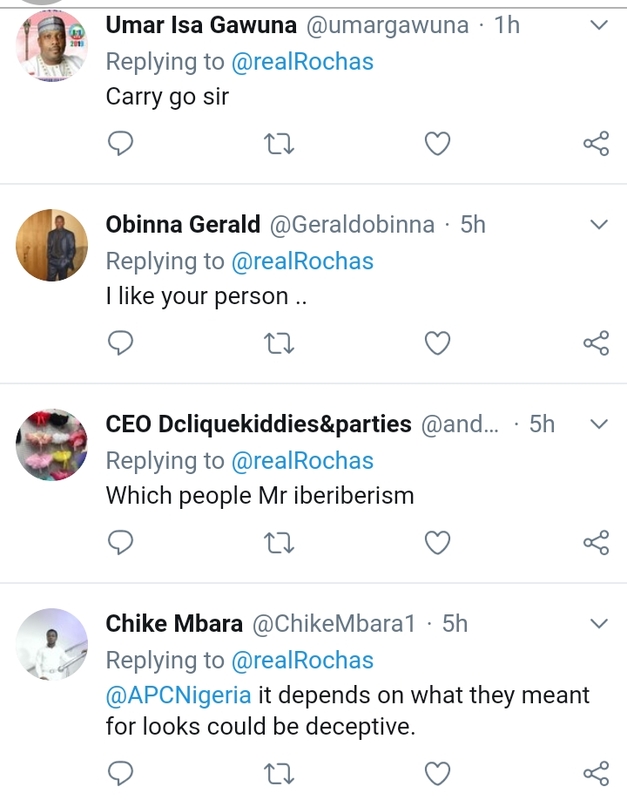 My people are saying to me, ‘Rochas, carry go! Go to Abuja and move the unmovable, shake the unshakable, surmount the insurmountable.’ – That I will do. 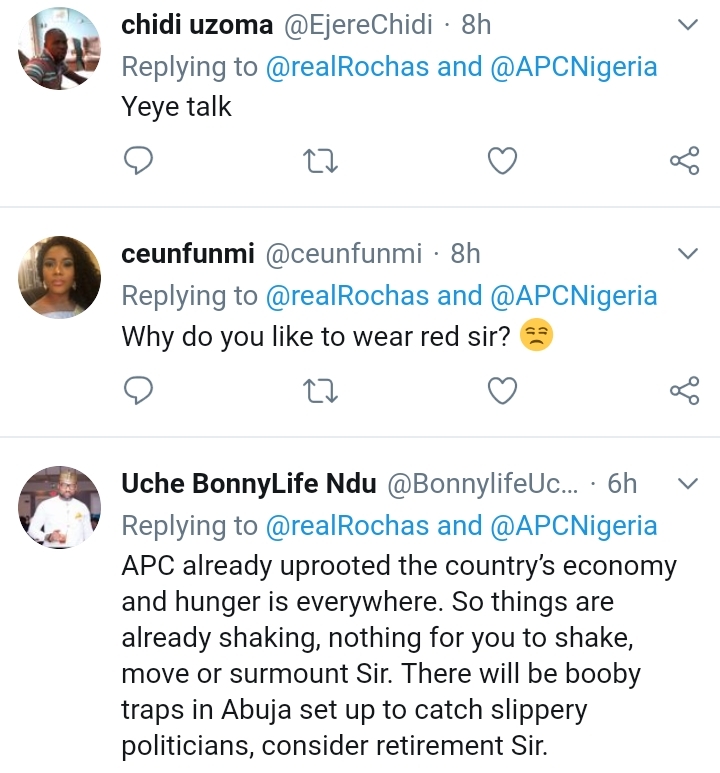 Our people are really cowards praise singing on someone we know is a bunch of irresponsibility imolites OYO is una case oh. 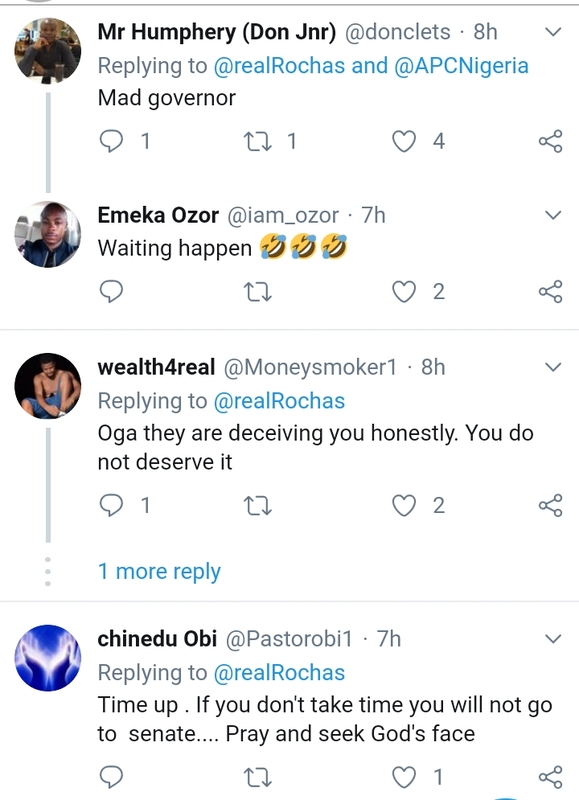 Rochas going for Senate and you people wanna vote him in I wonder.its like giving Buhari second tenure Nigeria is a drama country. 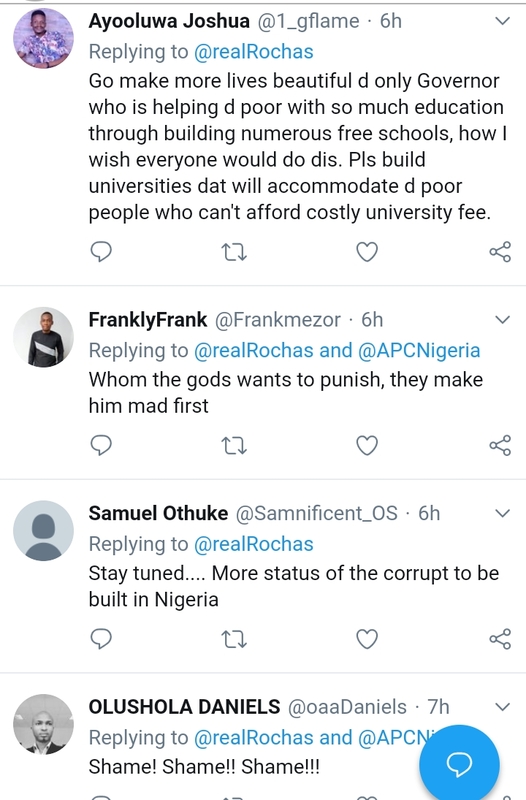 you want to go for Senate and you want your son in-law iwosu as the next governor…ahhhh with due respect sir you are so selfish…see na only you.why can’t you sponsor outsider hardworking youth.